Located within one of the most exclusive and prestigious communities in Temecula Valley, in the heart of wine country- The Groves is a neighborhood for the select few. Architecturally designed with classic old world luxury and modern comfort- 41855 Arbor Glen drive possess a long list of luxurious finishes and functionality. 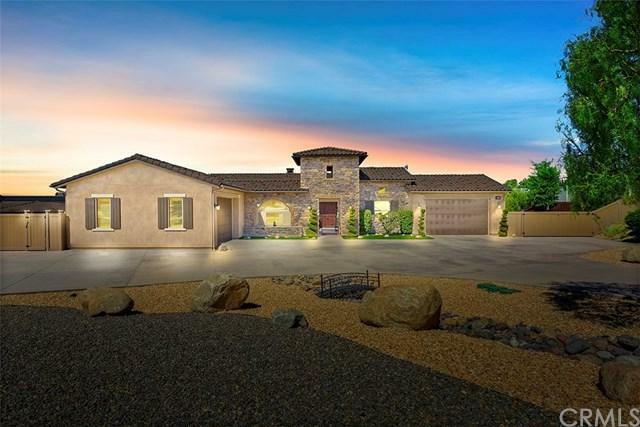 Smooth stucco exterior accented by impressive stone tower in front, along with two oversized garages on each wing, gated RV/ Boat parking on each side. Walk through the wrought iron gates into the private courtyard and step into a masterfully designed living space. A formal entry foyer serves as an elegant arrival, beyond which discover luxurious wide plank wood floors, mosaic tile accent and 10 ft ceilings. Walk down the hall and be invited to the perfect blend of indoor and outdoor space featuring stunning panoramic bifold glass doors opening to the covered outdoor room. 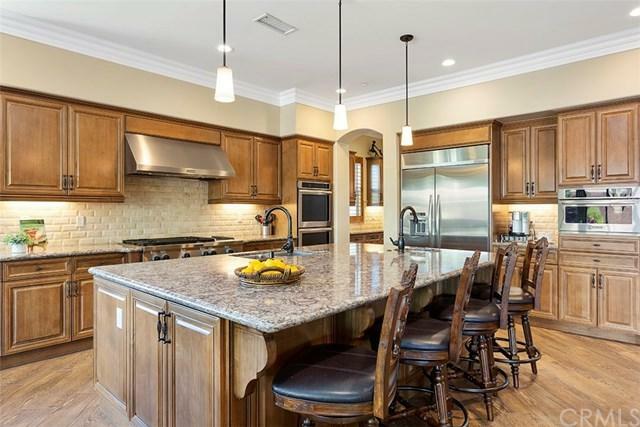 Entertaining in this stunning gourmet kitchen is a breeze with built in top of the line appliances, extra large island, walnut finished cabinetry, double ovens, sub zero fridge, walk in pantry and dedicated wine cellar. The Master suite features walk-in 12x12 tiled shower, 6-foot comfort-depth soaking tub and a generous walk in closet. 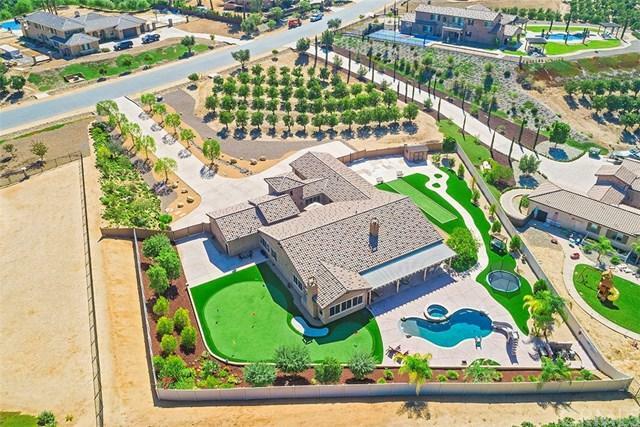 The ultimate outdoor space is designed with a custom swimming pool, spa, putting green, outdoor kitchen/ BBQ island- all on 2+ acres of land including your own citrus grove. Surrounded by vineyards, yet minutes from shopping, restaurants and nightlife. Exclusions Personal items/ Furniture Fridge Washer Dryer.